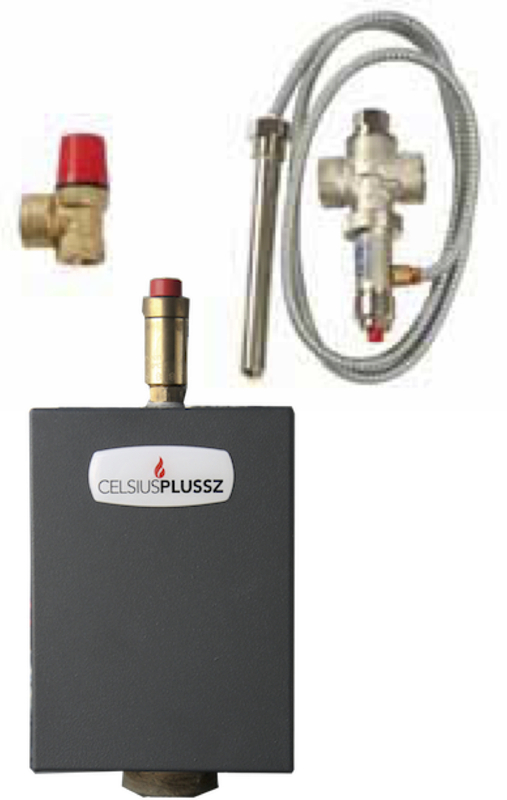 Celsius Classic P-V 35 simplified system - Celsius a takarékos energia - fűtés rendszerek akár 5 év garanciával. These boilers are easy and economical to operate. Their firebox is made of 5 mm thick steel by welding folded edges. The 3 boiler doors are made of cast iron to satisfy all necessary operational functions (filling, cleaning, air control). These boilers have one firebox behind the middle door. The classic boilers provide even heat distribution in a Celsius Heating System, whether used on its own or with open fireplaces or stoves. Classic boilers produce useable energy from wooden or paper waste. If required, coal can be used as a source of fuel. Firebox and internal frame are 5 mm thick resistant steel for durability and high pressure tolerance. Operation is easy and economical. Able to heat with other boiler or heat source (maximum of 2 bar pressure) in the one heating system. Suitable for radiator, underfloor or combined heating system. Able to produce drinkable hot water with domestic hot water package. These boilers are easy and economical to operate. Their firebox is made of 5 mm thick steel by welding folded edges. 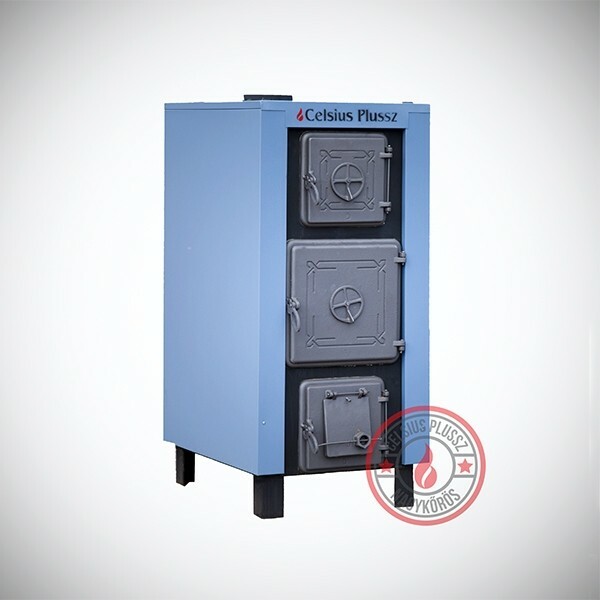 The 3 boiler doors are made of cast iron and satisfy all necessary operational functions (filling, cleaning, air control). These boilers have one firebox behind the middle door. Condensation is an often experienced phenomenon during the use of the solid fuel boilers which is always harmful, will cause lifespan shorthening, efficiency drop, and higher heating costs. 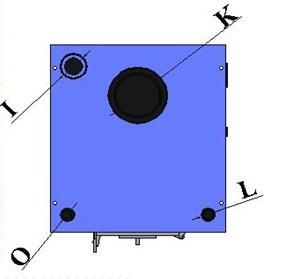 After the launching of the boiler, the thermic valve is fully closed towards the user (gate A) and remains in this condition until the fluid is warmed up by the heating source, gets the opening temperature of the thermic valve (corresponding to the calibration value, f.i. 55°C). During this step the fluid sent by the boiler fully recycles through the by-pass (gate B) so the boiler temperature rises very quickly. Reaching the opening temperature (f.i. 55C), gate A proportionally starts to open while gate B proportionally starts to close. 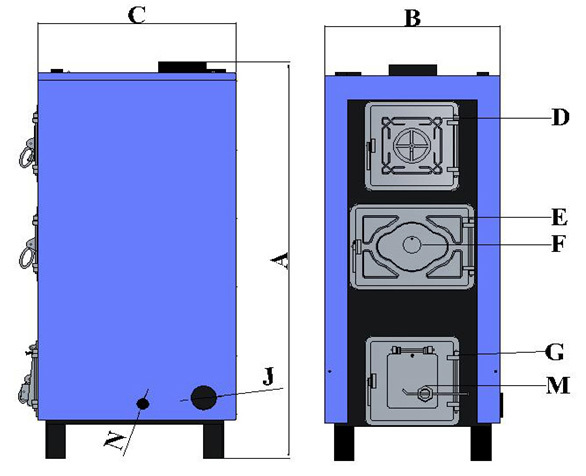 The boiler temperature slowly rises, giving energy to the end user, but the returning temperature will not decrease below the calibrated temperature (f.i. 55°C). Starting from point 2, the flow temperature progressively increases to fully open gate valve A. This will correspondingly close gate valve B. This happens at approximately circa 10k higher than the calibration or opening temperature (therefore in this example at 65c). Now the installation is fully operational the supply fluid temperature can increase to set value. 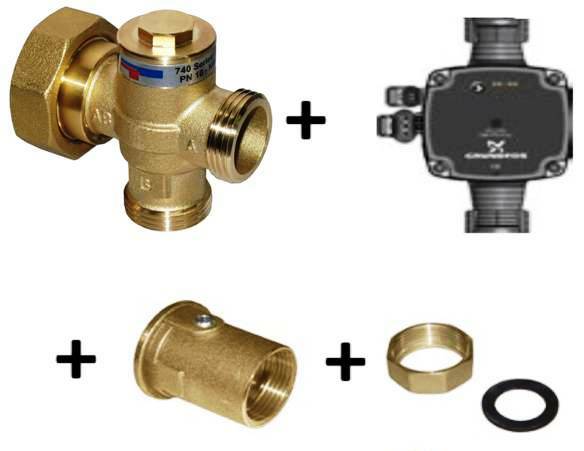 For example, if the valve opening temperature is 55°C, then it is totally opened in the direction of A → AB in case of +10°C. Euroster 11E is a modern microprocessor-based controller used to control central heating (CH) system pump or utility hot water (UHW) system pump. The Euroster 11E controller features the ANTY STOP function that prevents idle pump rotors against seizing. Once the heating season is over, every 14 days the function automatically turns ON the pumps for 30 seconds. To that end the controller must be left powered up. 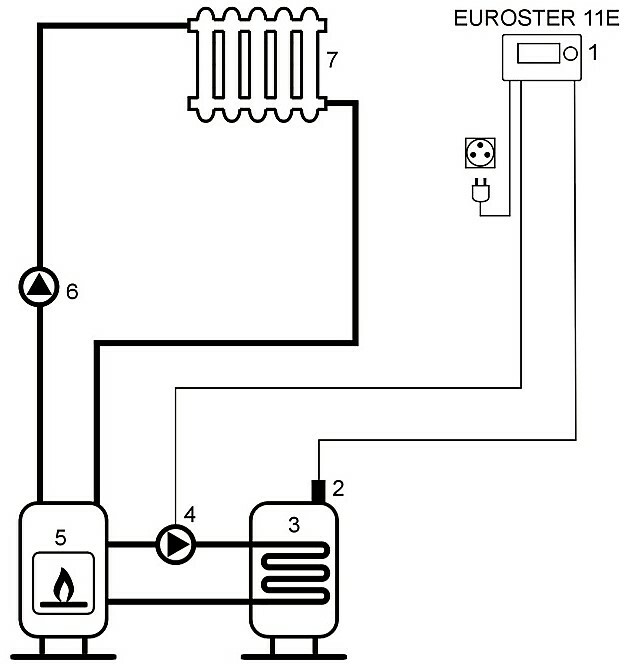 The Euroster 11E controller may be operated in two modes: it may control CH system pump or UHW system pump. In the former mode the CH system pump is engaged if sensor temperature has exceeded the preset limit. 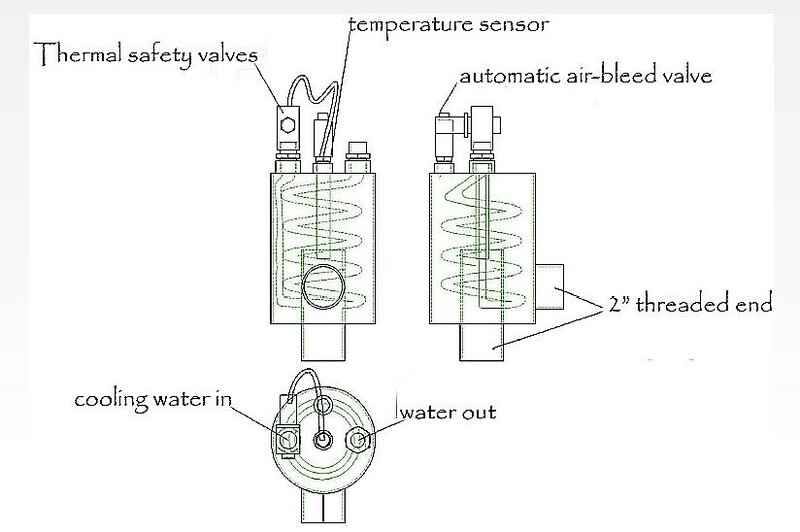 In the latter mode the UHW system pump is kept running until sensor temperature reaches the preset value. Set 2 has been complied for layouts in which UHW pump is controlled.